Jan Piekło, one of the founders of New Diplomacy, is set to become the new Ambassador of Poland to Ukraine. His appointment, already approved by the lower chamber (Sejm) in the Polish Parliament, is pending only the confirmation of the Senate before the President of Poland, Andrzej Duda, names him as the new Ambassador. This key role in Polish diplomacy comes as recognition of Jan's work and, of course, New Diplomacy is delighted that one of our founders will continue to promote the vision of New Diplomacy in a high-profile ambassadorial post. 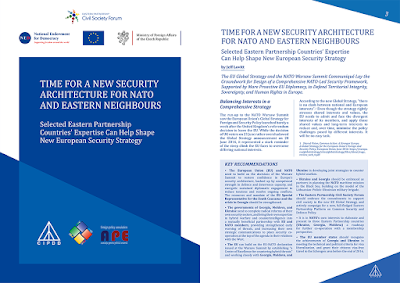 New Diplomacy was founded in October 2015 as a new initiative to address the policy challenges facing global and regional policymakers in the eastern and southern neighbourhoods of the European Union, not least the insecurity in the post-Soviet space and the crises of democracy and instability in the Middle East. Jan's appointment comes at a crucial time in relations between the EU and Ukraine, and between Poland and Ukraine in particular, in the light of the continuing conflict with Kremlin-backed separatists in eastern Ukraine, and the challenges to be addressed concerning security on the EU's eastern neighbourhood at the forthcoming NATO Warsaw Summit on 8-9 July 2016. Jan, who is expected to take up his position as Ambassador in August/September 2016, has been Executive Director of the Polish-Ukrainian Cooperation Foundation (PAUCI) since 2005, where he has managed trans-border projects with Ukraine, Moldova, Georgia and Armenia. Having been fired as a journalist during the period of martial law in Poland, he practised as a psychotherapist working with adolescent patients. From 1982 to 1988, he contributed to clandestine Solidarity print publications. 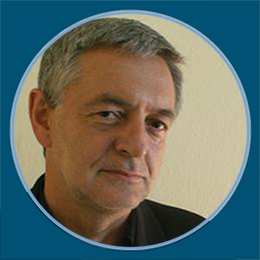 As a journalist, he covered the Romanian revolution of 1989 and from 1991-1997 the wars in former Yugoslavia. He was editor of Tygodnik Powszechny, a leading weekly of the Polish anti-Communist opposition. In September 1997, he was OSCE supervisor for the local elections in Bosnia and Herzegovina. From July 2000, he was editor of the online magazine FORUM, dedicated to Christian-Jewish relations and co-operation. He received the SDP (Polish Journalists Association) Award for “introducing into the Internet the important issues of dialogue and cooperation of people of different backgrounds, traditions and value systems". His most recent novel, Scent of the Angel, published in Polish and Ukrainian, is based on his work experience in the Balkans and Eastern Europe. In 2001-2002, he was Coordinator of the Polish-American education project entitled The Bridges of Tolerance, and until 2005 he served as Director of the Institute Bridges to the East. In 2014, he was EU co-ordinator of the Eastern Partnership Civil Society Forum.